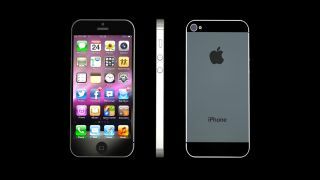 Rumors have been running rampant about the next iPhone as of late, and the latest report not only indicates that the iPhone 5 is indeed real and coming out, but that Apple has already locked down the first day for pre-orders. It's been previously reported Apple will hold an even on Sept. 12 to show off the latest model of their massively popular iPhone. However, iMore has new information that not only points to the Sept. 12 unveiling, but also that Apple will open pre-orders for the iPhone 5 on that very same day. iMore previously reported on the Sept. 12 conference date, and claim their latest intel comes from "sources that have provided [them] with accurate iPhone related launch dates in the past." Based on the report, the first actual shipment of the iPhone 5 would arrive just a little over a week later on Sept.21. The iPhone 5's second round of shipments, typically those that go out to international customers, would then arrive in early October, with Oct. 5 believed to be the target shipping date. Apple's suppliers just recorded record sales for July, giving even more credence to the idea that the company is preparing for a new product launch. With iOS 6 tabbed for a fall release as well, the stars are certainly aligning for what many believe (and hope) is the release of the iPhone 5.